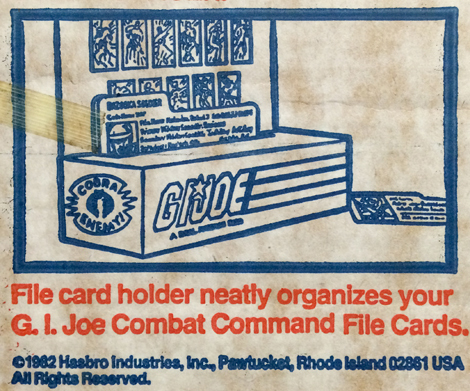 The Cobra Missile Command Headquarters is the only G.I. 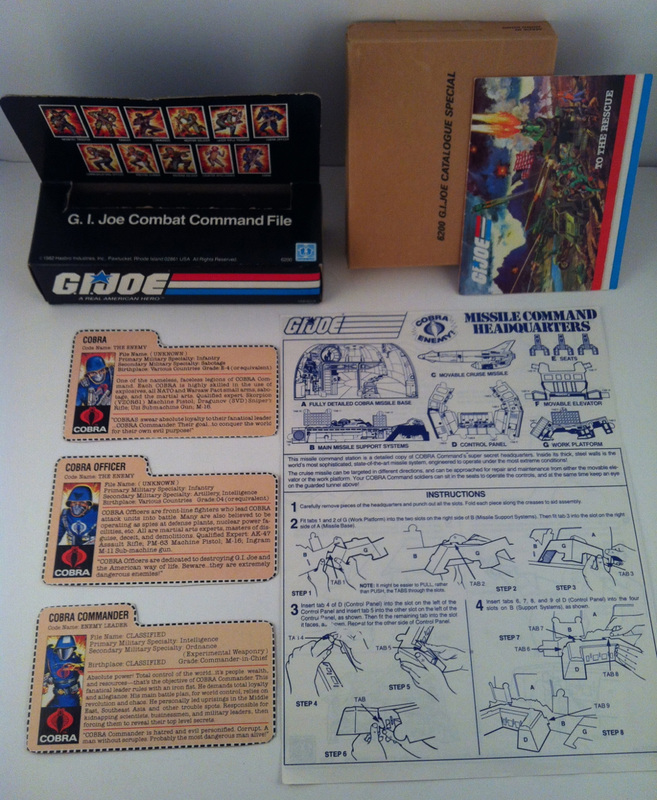 Joe play set ever made out of cardboard. It was only sold at Sears (so it's known as a Sears Exclusive). It is extremely fragile, so it is quite rare to find one complete and in decent shape. 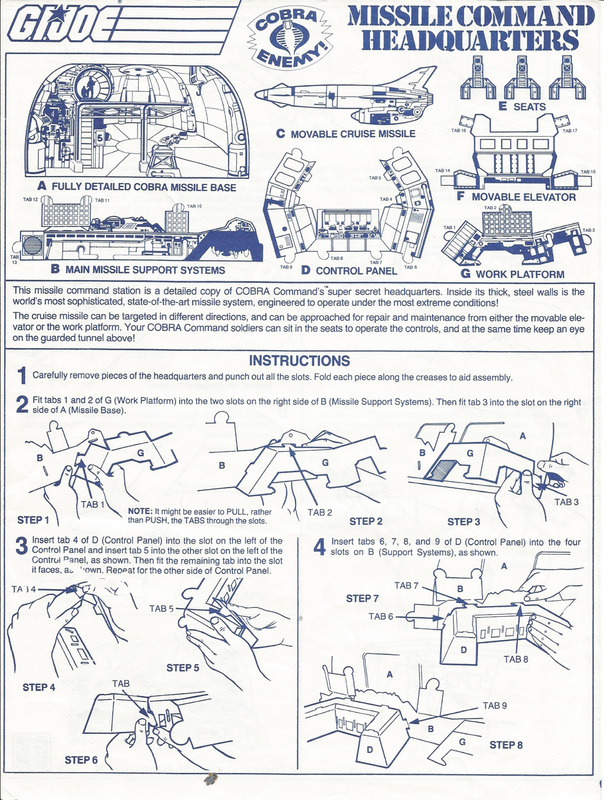 The Cobra Missile Command Headquarters featured a giant missile and an elevator that you could raise and lower. 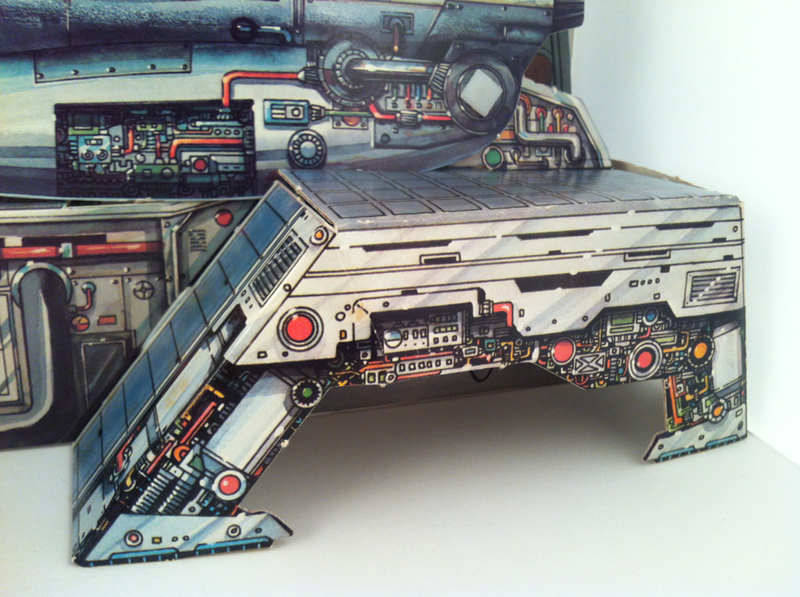 The computer console had three seats for Cobra troops to sit in and a missile platform for Cobra Commander to yell orders from. 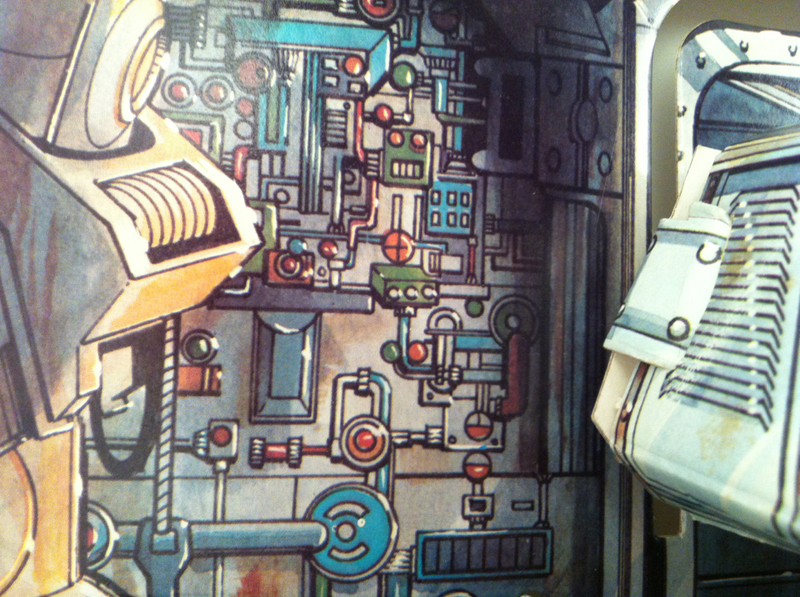 The Cobra Missile Command Headquarters has some very nice illustrative details. 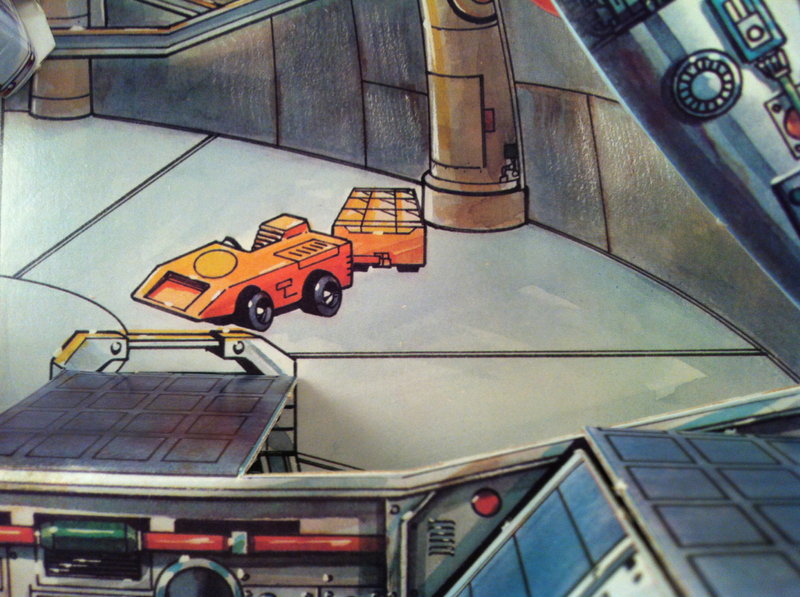 This set really has to be see in person to fully appreciate how well it works for a cardboard play set. 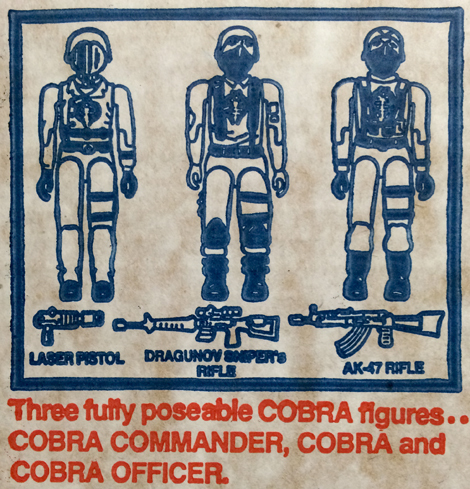 The Cobra Missile Command Headquarters came with three figures: Cobra Commander, Cobra and Cobra Officer. 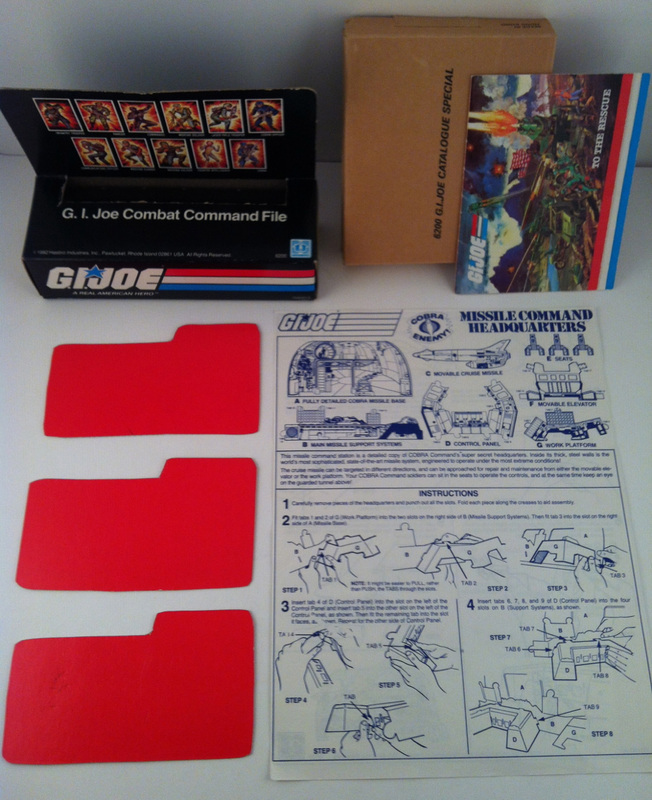 The set also included three red back file cards, a file card holder, a blueprint, a catalogue box and a product catalog. 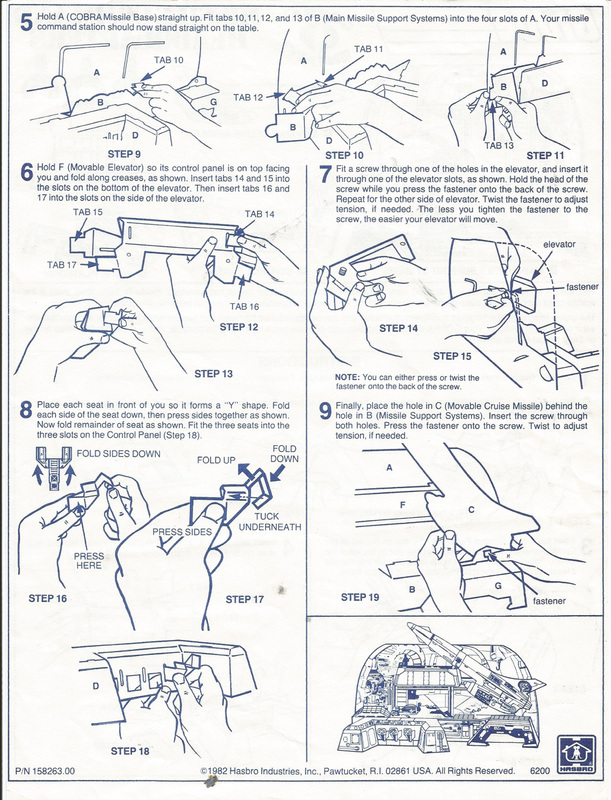 All are seen below. Kirk Bozigian (G.I. 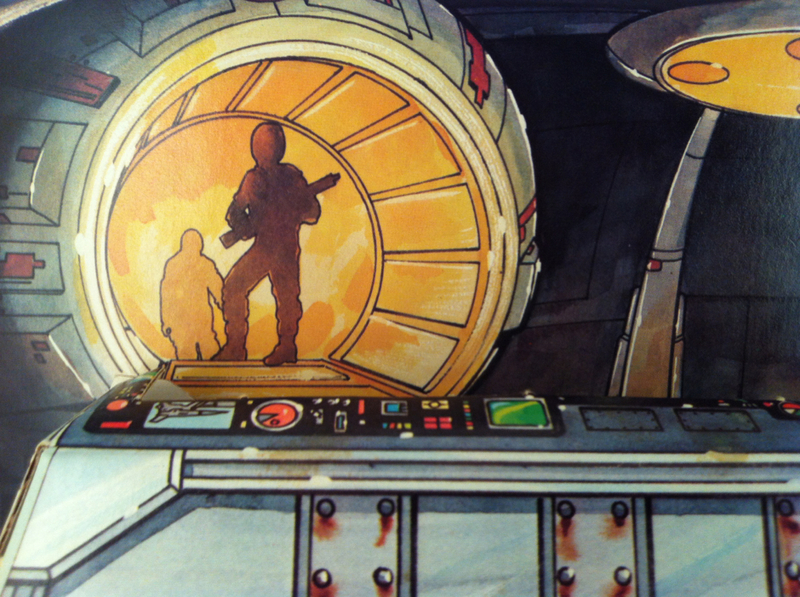 Joe Product Manager) and Ron Rudat (R&D Playset Designer) discuss where the idea for an exclusive cardboard set came from and how Ron got the job done.